Kurt Maflin’s eye-catching 5-0 win over Xiao Guodong at the Hanteng Autos World Open today was all the more impressive for the fact that he is suffering from a bizarre injury. Maflin is through to the last 16 of the ranking event in Yushan, China, having beaten Michael White 5-4 on Monday before whitewashing Xiao today. He faces Shaun Murphy next. But the world number 50 almost pulled out of the tournament after being bitten by a worm soon after arriving in the Far East. “It must have happened on Sunday night while I was asleep,” explains 32-year-old Maflin, who was born in London but is now Norwegian. 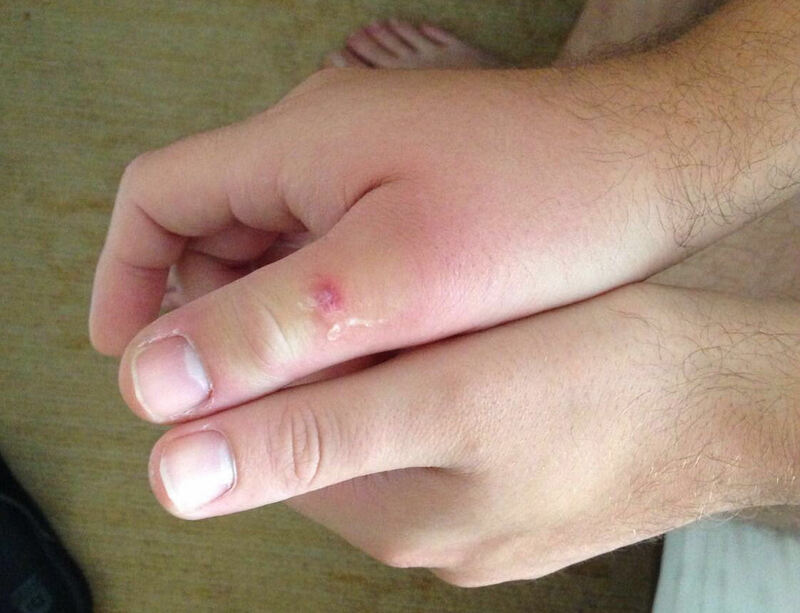 “I woke up on Monday and had this bite on my right thumb, it was a bit swollen. I thought it must have been a mosquito. “I played that day and managed to win. On Monday night the thumb was bigger but I thought it was nothing major. I popped it and some of the stuff came out. After that it was weeping all night. By Tuesday morning my thumb was huge, twice the size of the other one. “I realised it couldn’t be a mosquito because it wasn’t itchy, the skin was just really tight. I showed it to one of the volunteers and she agreed to take me to the local hospital and translate. I saw a doctor and he said I’d been bitten by a type of worm which is quite common in this area. “He said it wasn’t dangerous and should get better, and he gave me some tablets to take and cream to put on it. If I’d had a match yesterday there was no way I could have played, I couldn’t have held the cue. But today it is slightly better, the swelling has gone down a bit.